CIRCA 1918 - Soldiers cut up rations. 4k00:231930s: People hang poster of Adolf Hitler in window. Woman hands out Nazi flags to crowd. People parade through streets. Soldiers march. hd00:29CIRCA 1918 - Men unload cargo at a dock in Brest, France. hd00:59CIRCA 1945 - General Leonard of the 9th armored division tells his men that Germany has been defeated. 4k00:23ESTONIA 1917: Men in Uniform Attach Ropes and Chains to Car and Cannot Ready to be Lifted on to Ship. Soldiers Rush to Steady Cart. Cart Lifted on to Deck of Ship. Canon Being Pulled up the Ship. 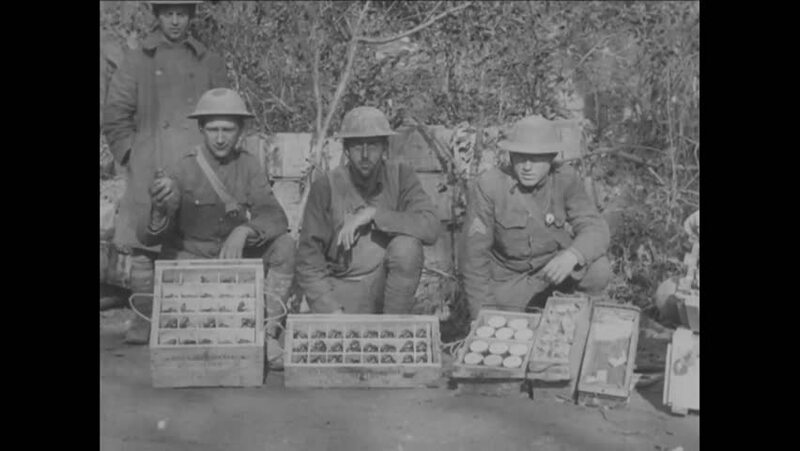 hd00:49CIRCA 1918 - Officers of the US Army's 11th and 12th Brigade, 6th Division, pose for the camera. 4k00:131940s: Uncle Sam talks juxtaposed over images of a lake and mountain.